Virginia Distillery Company has announced the upcoming opening of its new tasting room and production facility. In November the fast-growing whisky business will welcome guests daily at a new visitor’s center that will offer what the company is calling “The Virginia Whisky Experience.” Set on a scenic 100-acre property in the bucolic town of Lovingston—located halfway between Charlottesville and Lynchburg—the newly built center will feature a relaxed tasting room in an idyllic setting. Guests will be able to enjoy samples of whisky and seasonally inspired cocktails made with locally sourced ingredients from Nelson County. A perfect addition to fall getaways that include the area’s many surrounding breweries, wineries and cideries, the new distillery will offer visitors the opportunity to enjoy premium single-malt whisky that’s made with traditional methods but also leverages the ideal maturation climate in the Blue Ridge Mountains of Virginia. Look for a museum, video and tour experience to launch in the spring of 2016, as well as an array of on-site events. The owners of Virginia Distillery Company want to give a time-honored tradition from Scotland, where the art of distilling single-malt whisky dates back to the 15th century, an authentic American interpretation. 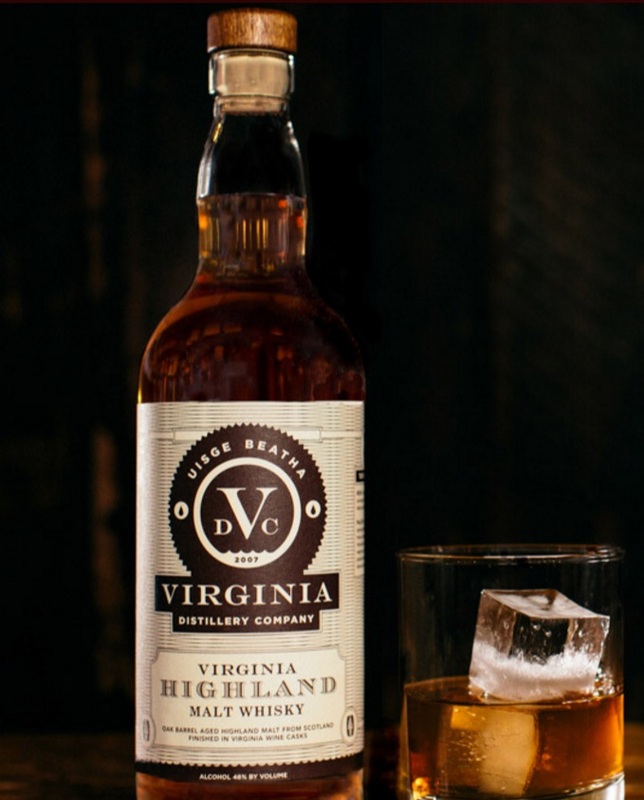 The independently owned company currently offers Virginia Highland Malt, a rich and flavorful malt whisky that was originally distilled in Scotland but finished in local Virginia port-style wine casks. Virginia Highland Malt is currently distributed in Virginia, New York, Connecticut, Massachusetts, Rhode Island and Washington, D.C. When VDC’s growing team fires up the authentic copper pot stills at the new distillery in November it will signify the birth of a uniquely American single-malt whisky. The vision came from the late Dr. George G. Moore, an Irish immigrant and self-made businessman who embodied the American dream and went on to achieve great success, founding and growing a range of businesses in Virginia and beyond. After 40 years of living in the U.S., Moore embarked on a passion project to create a company that would craft authentic single-malt whisky in Virginia’s Blue Ridge Mountains, but as the operation was beginning to take shape, he passed away unexpectedly in 2013. His vision is now being carried forward by his son Gareth H. Moore, Virginia Distillery’s CEO, along with support from the two other primary owners George Moore’s best friend Jack McDonnell (board member) and company President John McCray. VDC’s new single-malt whisky will be made with only the finest ingredients. That starts with importing two-row malted barley directly from Scotland. Once they arrive, the grains will take on a new character in the unique microclimate of Central Virginia’s mountains. After the grains are split in an authentic roller mill first commissioned in the 1920s, the mash will be made with pure, sweet water from a nearby mountain spring. Like a traditional Scottish single malt, the whisky will be aged in previously used bourbon casks, but the hot summers and cool winters will create a unique maturation profile. During the two-to-four years the whisky needs to develop, the Blue Ridge climate will help pull different flavors from oak barrels as temperature and humidity vary day to day and season to season. The result will be an American single-malt whisky that is distinctly original. At full production VDC will have the capacity to produce 350,000 cases annually. Additional information can be found at vadistillery.com.